Matt Layden did teach me the advantages of the lugsail. 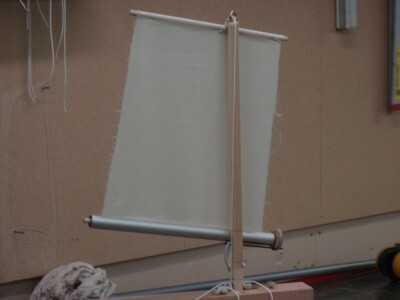 I did grow up with the traditional Swedish spritsail. Paradox and Enigma uses a standing lug. I plan to use a balanced lug. Like Matt I intend to reef by rolling the sail around the boom. 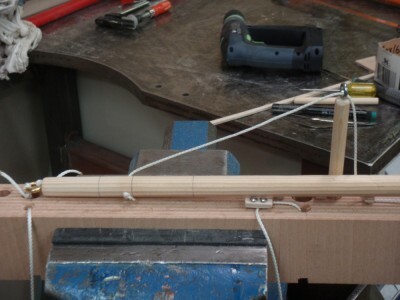 Unlike Matt I will keep the boom inside a slotted pipe, much the same as in-mast furling. Its a complication but it has some advatages. It protects the sail from chafe against the mast. It is easy to attach a preventer to the pipe. 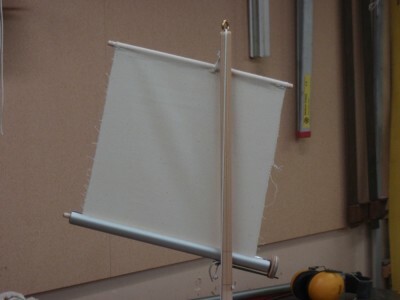 When the sail is not in use it functions as a sailcover. And important I will use the slotted boom to collect rain water in. A hose from it will lead to plastic containers. 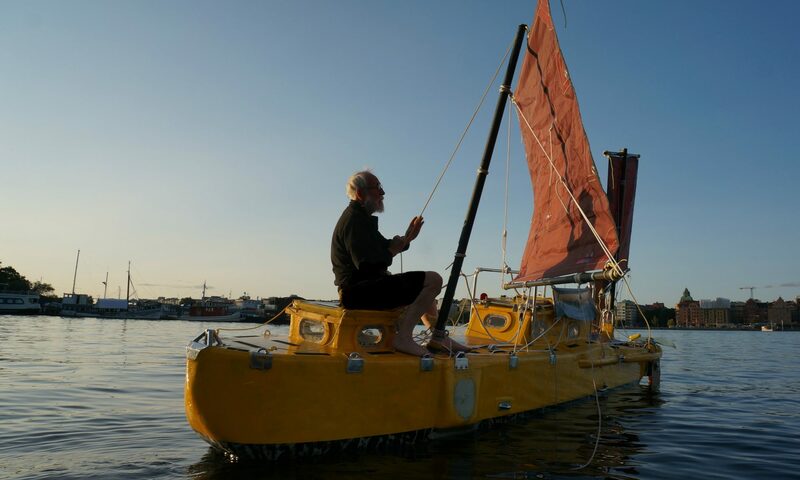 There are two masts and four positions for them. The masts are selfsupported, unstaid. 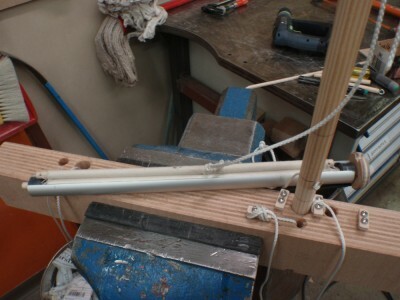 Thanks to the lugsail the masts will be very simple, no tracks and no goosenecks, only one halyard. 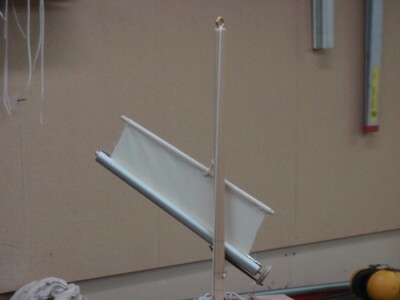 I plan to make the mast of carbon at Marström. I will make them strong. They will not be longer than an oar (how long is an oar?) The will be as easy as an oar to handle. They will be close to the hatch, within 3 feet, 90 cm. To move an mast it has first to be mowed vertically out of its support. Being of short statue and getting older every day some windy days I may need a helping hand in the form of a stick and some rope. Below follows some pictures click on them and click again to enlarge. The slot where water is collected. 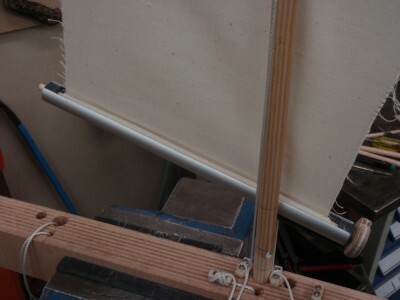 The sail rolled into the boom and secured to the deck. The mast is free to be moved. The mast and the helping stick and the lifting rope. 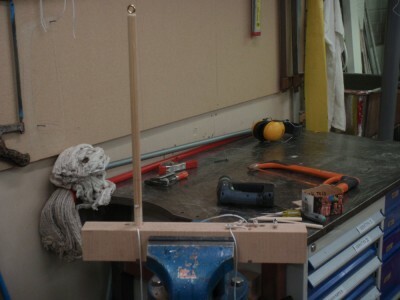 The mast is put on deck and its lower end is mowed to the new mast hole. 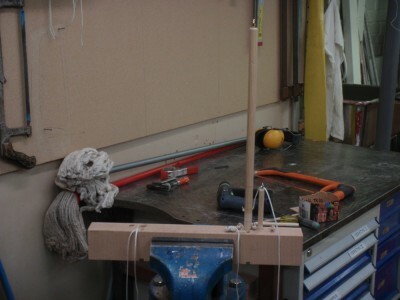 Now it is very easy to raise it with one hand at the same time as I pull on the rope to drag it down the new hole. 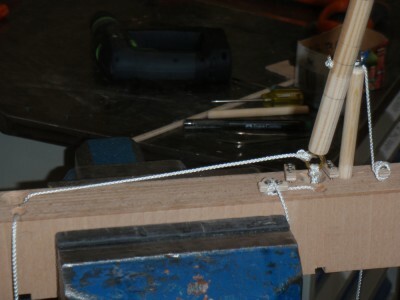 When in position the rope is cleated and the mast is secured in the new position. During the whole operation it has been under control. The mast in the new position. This is the theory, to be modified, all the details are not included. As Clausewitz said “few strategies survives the first contacts with the enemy.